A strong team that works cohesively can be one of the most important elements of a successful business. Learning how to communicate and cooperate lays the foundation for a healthy, productive workplace. One way to accomplish this is through team building – fostering a better work relationship by sharing in a common tasks during your meeting or event. 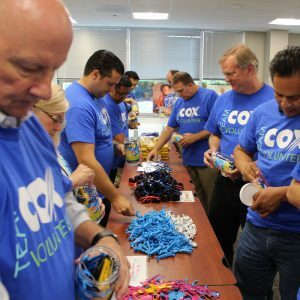 Community service projects, competitive games, and problem-solving challenges can be great tools for companies to facilitate bonding and employee relationships. Added benefits to team building exercises include: improved communication, re-energized staff, and ultimately an elevated the work climate. But those outcomes don’t just happen. They require advanced planning and follow-up to create long-term value. From health and wellness activities and food-and-drink challenges to networking activities and philanthropic teamwork, here are some unique, interactive team building ideas for corporate groups and meetings. Speed Vegas – Experience the thrill of driving an exotic supercar on a real racetrack at speeds up to 150MPH. 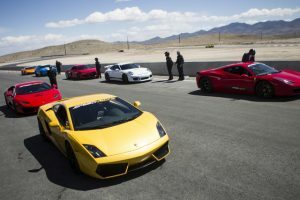 This state-of-the-art motorsports complex hosts team building options to explore the need for speed where guests have their pick of any shiny, new car to take for a spin. Can your team handle a day of hot laps? Dogfighting Days – Take your team back to the pioneering days of early flight. The mission? Fly high-performance airplanes under the supervision of an expert fighter pilot and engage in an actual aerial dogfight with your group. This aviation-related attraction will take your guests breath away in more ways than one. BOOMERANG!– Honor those who help make meetings happen. Through the Above and Beyond Foundation’s CSR program, groups can recognize and reward outstanding hospitality individuals working onsite for meetings and incentive programs in progress.With meeting attendees’ input, one or more outstanding individuals are awarded a life-changing $10,000 cash grant. Joy Jars – Engage your employees. Spread Joy. Help kids fighting cancer. The Mobile JoyFactory is a national and global corporate engagement opportunity for compassionate companies and employees. Teams gather to stuff Joy Jars, full of hospital-approved toys every child loves to play with. Mix It Up – Host group cocktail battles at popular bars and nightclubs. Attendees put their knowledge to the test through a mixology training followed by a competition to stir up the tastiest cocktail. Drinks are served and judges pick a winning team based on the best creations. 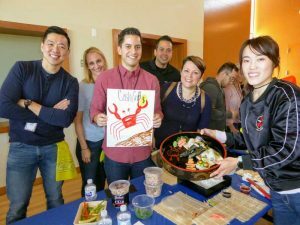 Sushi Showdown – Participants feel like they’re a part of everyone’s favorite cooking competition in this adrenaline-pumping Sushi Showdown. In this technique-driven, team building activity, guests are divided into small teams and face off in a timed sushi battle. For those who are not fish fans, switch it to a chef challenge where teams are armed with three basic ingredients and a stocked pantry, and face off in a timed competition to create the winning dish. Story rooms –Intersecting technology and spectacle, Two Bit Circus in Los Angeles creates Story Rooms, where participants disappear through hidden doors into imagined worlds. Similar to an escape room, these immersive group adventures have guests working together to solve challenges, reinventing the way people play in the new world of social amusement. Learning Labs – Want your team to learn how to be an industry disruptor? From Hulu to SnapChat, Dollar Shave Club and XOJet, your group will join in learning labs and hear from pioneering entrepreneurs and CEOs, to discover key areas where leading companies saw an opportunity to effect change and stand out in highly competitive spaces. With these ideas you’re well on your way to growing stronger group bonds, improving communications and personal dynamics. No one wants to do the same activities they’ve been doing for years. It’s time to spice it up and challenge your teams. 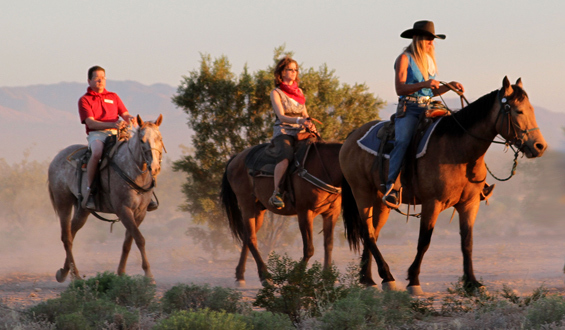 How are you shaking up your team building activities? What’s worked, what’s flopped? We’d love to hear from you in the comments below.